A New Hampshire man was arrested Sunday after leading cops on a high-speed chase that ended in south Brewer. 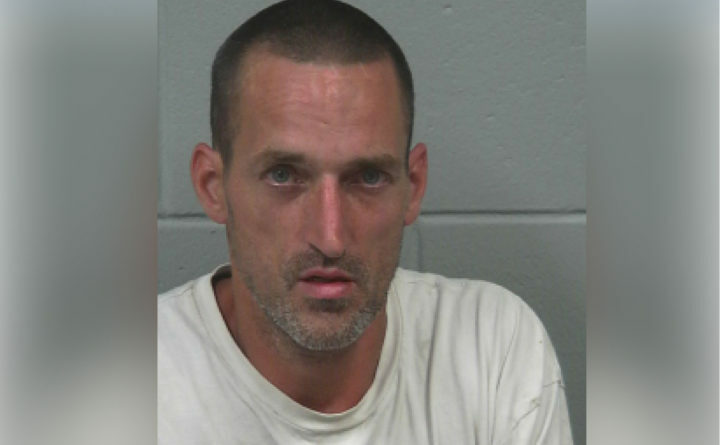 Joshua Dube, 45, was charged with two class C traffic offenses and booked at the Penobscot County Jail on Sunday, after police chased him down Route 1A following multiple calls about him allegedly driving erratically at high speeds, according to authorities and the jail log. Around 3:25 p.m. Sunday, calls started flooding the Hancock County dispatch center reporting, as one caller described, an older blue Chevy pickup making bad passes and driving at a high speed in Dedham, Holden police Chief Chris Greeley said. By the time authorities were alerted, the pickup has crossed over the Penobscot County line into Holden, where Holden Officer Kevin Harvey spotted the truck and, lights blazing, pulled him over on Route 1A near Church Road, Greeley said. But before Harvey could approach the driver’s side window, the man — whom police identified as Dube — allegedly sped off, veering again between cars along the congested road, Greeley said. Brewer police and a Penobscot County sheriff’s deputy started tailing the truck when it reached Brewer, where the chase ended after Dube crashed on South Main Street, according to dispatch and CBS affiliate WABI. Dube faces one count of eluding a police officer and one count of operating after being a habitual offender, the TV station reported.